Everyone knows Alcatraz Island. The infamous prison island off the coast of San Francisco was one of the most feared prisons in the world when it was open, and has become an incredibly popular tourist destination. In the event of a zombie apocalypse, it would also make a phenomenal refuge from the walking dead. It sits deep out in the San Francisco bay, and it’s so difficult to get to and from due to the frigid, choppy waters of the bay that no one ever successfully escaped from Alcatraz, unless you count three inmates who escaped from the prison but were never seen again, since they almost certainly drowned. Freezing ocean water and the sharks prowling those waters, and a fortified prison buildings make Alcatraz an attractive destination during a zombie apocalypse. Along the same lines of Raven Rock is Greenbrier, another military installation and government relocation center in West Virginia which has since been turned into a luxury resort. Greenbrier was designed to house Congress during the Cold War. 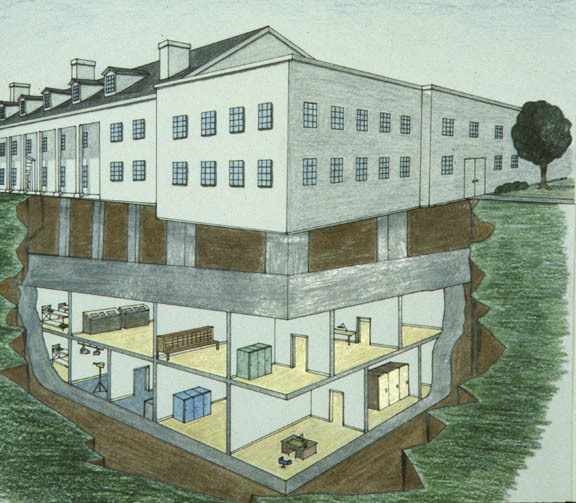 The actual bunker at Greenbrier was kept fully stocked and operational for 30 years despite never having to be used, so like Raven Rock you can count on it being ready for occupants should the zombie plague sweep the nation. Of course the problem with a place like Greenbrier along with Raven Rock is that when you get there you might not be welcome since, you know, the president could very well be there eating all of the delicious food stores and catching up on some Netflix. Located in Normandy, France, Mont Saint-Michel may be the most perfect place in the world to hold out against a zombie apocalypse that there is. Not only is it literally a castle stronghold, but it’s also an island that sits about half a mile off the coast of France, and is only accessible – to zombies, anyway – by a single road that could easily be fortified or blocked off altogether. You also have to take into consideration the castle was the inspiration for Minas Tirith in the Lord of the Rings series, as well as the movie representation of Hogwarts. So if you’re in a bind, maybe there will be a wizard strolling around the grounds who can come up with a handy anti-zombie spell for you.